414 pages | 9 Color Illus. | 65 B/W Illus. Mechanism of Oxidation in Foods of Animal Origin. Natural Antioxidants: Occurrence and Their Role in Food Preservation. Potential Applications of Natural Antioxidants in Meat and Meat Products. 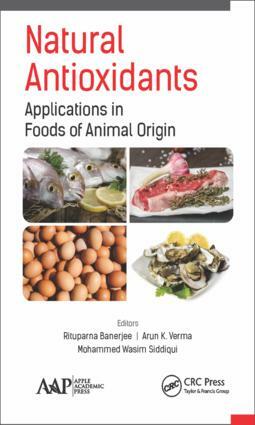 Natural Antioxidants: Control of Oxidation in Fish and Fish Products. Natural Antioxidants in Poultry Products. Methods and Their Applications for Measuring and Managing Lipid Oxidation: Meat, Poultry and Seafood Products. Application of Natural Antioxidants in Dairy Foods. Antioxidant Dietary Fiber: An Approach to Develop Healthy and Stable Meat Products. Control of Lipid Oxidation in Muscle Food by Active Packaging Technology.